> Fototapeta>Tematy>Kwiaty>Close up portrait of young beautiful woman indoors. Attractive woman with flowers. 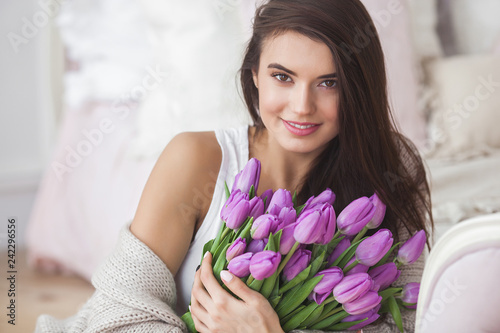 Female with tulips. Spring bouquet.